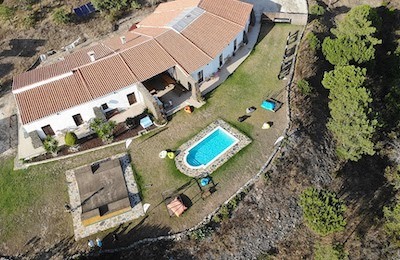 The camp offer accommodation in a house near Meia Praia. It’s the perfect location as it takes only 10 minutes to the lagoon for kite/windsurf lesson and 10 minutes to the centre of Lagos. 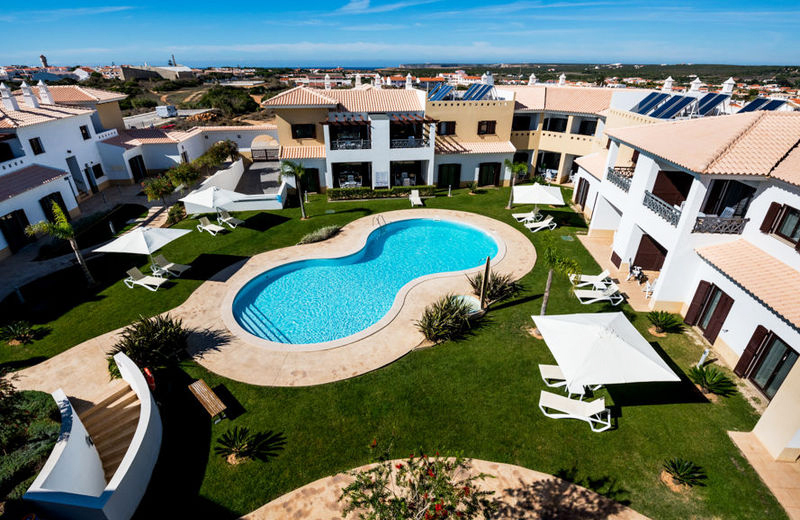 The Algarve Kitesurf Camp is specialized in Kitesurfing Holidays. Beginners or advanced level are all welcomed, indeed we offer kitesurf package for every level, all ages and budgets. You will have the opportunity to sail in a beautiful lagoon in Lagos, where the water is shallow and flat, which are the best conditions to improve your level safely. Our kitesurf teachers are all IKO certified. We are also offering windsurfing camps for beginners and intermediate. The consistent wind and the flat water make the Algarve a perfect destination to learn or improve your windsurfing skills. Our friendly instructors teach on new equipment from JP Board and Neil Pryde sails. In our surfcamp you will get 5 days of windsurfing with 3 hours of instruction. You will stay in the kitehouse in the center of Lagos, perfect for nightlife. We provide the wakeeboarding lessons in a wake park 2.0 cable system which is the easiest and most efficient way to learn wakeboarding. Thanks to the one-to-one instruction you will enjoy your first rides very quickly. Moreover, it is the safest way because accurate speed controls and constant supervision ensure a high level of safety. The Algarve region offers a large choice of spot according to the condition of the day. Between May and October, it is the best moment to enjoy the region because the swell is smaller and temperatures are warmer. If you have an advanced level, there is always a spot where you can find a nice wave to surf. Certified coaches are taking care of you in the water all along your stay. The Kite House offers many types of rooms and it’s a great place to relax. We provide delicious breakfast and dinner together with accommodation. Our amazing chefs bring you healthy food which gives you a lot of energy for water sport. At the end of the day, you can treat yourself with 3 courses dinner and especially with dessert. There is a great nightlife going on in Lagos. It’s about 20 mins walk from our camp to reach the old town of Lagos where you will find many restaurant, bars and clubs. For the sport’s practice, The Kite lagoon is located 10 mins away from the house. The Cable park where we are going to wakeboarding is just 5 mins away from the house. All the surf spots are located about 30mins drive from the house. We are specialized in Kitesurfing Holidays. Beginners or advanced level are all welcomed, indeed we offer kitesurf package for every level, all ages and budgets. You will have the opportunity to sail in a beautiful lagoon in Lagos, where the water is shallow and flat, which are the best conditions to improve your level safely. Our kitesurf teachers are all IKO certified. In our Kitesurf Camp offer, you will enjoy 5 days of classes with an IKO certified teacher or VDWS-instructors, 4 students per teacher maximum. Any level of practice is welcomed.. Security is assured during lessons..
As well as for kitesurfing, every level of practice is welcomed in our windsurfing classes. The region of Algarvemakes the learning process very easy thanks to its flat water and the consistent wind. During the Windsurf Camp, you will enjoy for 5 daylong, 3h of classes. Coaches will always be watching on you and here to help if needed. The 2.0 system provides you with the easiest and most efficient way to learn wakeboarding within a matter of minutes as a beginner. Thanks to the high connection point and a one-to-one instruction you will be able to enjoy your first rides on the wakeboard in the Algarve very quickly. Moreover, it is also the safest way because accurate speed controls and constant supervision ensure a high level of safety. 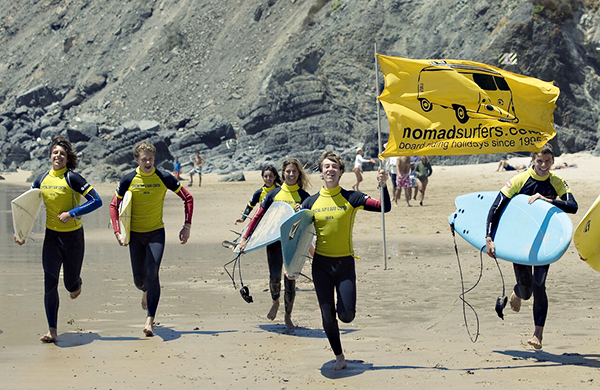 The Algarve is known to be a great spot for surfing. The swell window wider than 180° allows finding waves at anytime during the year. 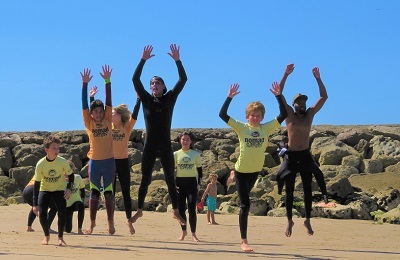 Lots of great beach- and reef breaks offer perfect conditions for beginners to pros. Less known is that the coastline also offers very good conditions for kiteboarding and wakeboarding. The mornings are calm and glassy for surfing on the west coast or kitesurfing and wakeboarding in the south, at noon the wind picks up, excellent for kiteboarding. Beginners and Freestylers prefer the shallow lagoons, while the waveriders use the kite to ride the waves with sideshore wind. Algarve is situated in the southern most part of Portugal, stretching along the Atlantic between the spanish border and Cabo Sao Vicente, Europe’s most southwestern point. It was the last territory to be conquered back from the Moors in 1292 and their presence is still very much present in the architecture of the region with its whitewashed houses standing against the red earth and greenery. Sheltered from the northern winds by the Monchique range and facing south, the Algarve enjoys a privileged climate all year round, in brightly coloured and fertile surroundings covered with orange, fig and almond groves. The southern coastline is formed by a long stretch of fabulous beaches, only broken up by impressive reddish cliffs. The west coast is wilder and the sea rougher, with a string of solitary coves and beaches accessed through dirt tracks. Algarve’s capital Faro enjoys a central location on the coast and the old town has many historical monuments, including a medieval wall. Further west, Lagos is a well known touristic destination on the banks of a river estuary and its old quarters are enclosed within 15th century walls. Also worth a visit is the little town of Monchiqueand its famous thermal spa, nestling in the Serra de Monchique mountain range, which highest point at nearly 1,000 meters enjoys splendid panoramic views across the Algarve to the Atlantic. Sagres lies at the western end of the Algarve, next to Cabo Sao Vicente. It was here that five centuries ago, Prince Henrique set up a school of navigation which has played a crucial role in the Portuguese discoveries. The town has a magnificent fortress built in the 14th century with a giant 43 meters compass rose. Cabo Sao Vicente fortress is poised on high cliffs facing the Atlantic. It was built on the original Roman site of “Promontorium Sacrum” – or sacred promontory, as they believe the cape was the end of the world, being the southwestern-most point of Europe. Bus and Train Station of Lagos, 30 km. Madrid- Lagos Departures Wednesday, Friday, Sundays at 9:30 AM Arrival in Lagos at 7:15 p.m.